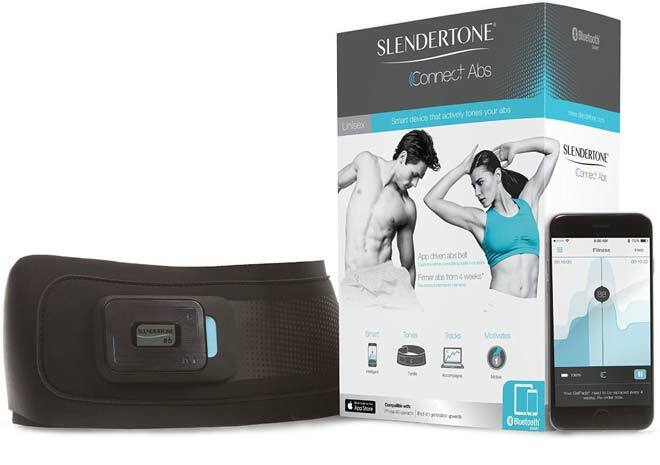 Home / Fitness / Slendertone Connect Abs Review: Turbo-Charged Toning (In 6 Weeks)? Electrically stimulating your abdominal muscles to tone them is nothing new, this method has been around for years now. The ab toning belt however, a DIY-type of product for home use has been the subject for much debate. That’s hardly surprising though, when some manufacturers of yesteryear were making promises like: “six pack abs” without any exercise. Fortunately, the Federal Trade Commission put a stop to all that. Those unscrupulous marketers were levied with hefty fines and soon disappeared. 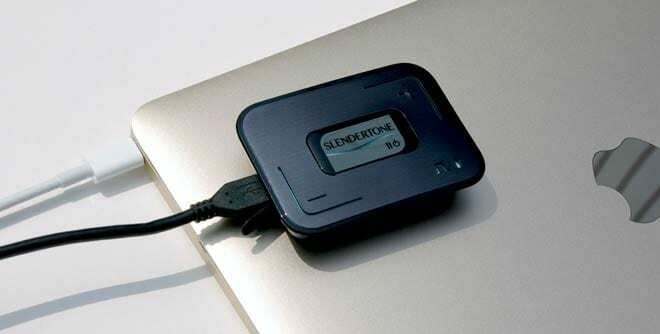 One company however that’s stood the test of time is Slendertone. Its innovative approach, research driven process, and extensive product range has made it the standout brand within the space. According to them, their newest abs belt is a “revolution in body toning”. That’s some statement to make – and because of that – I just had to put this product to the sword and make up my own mind. 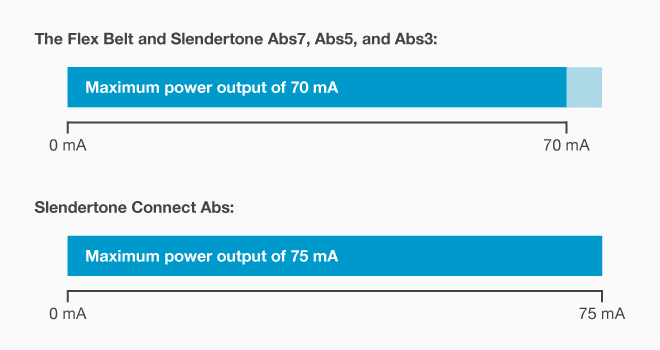 In this Slendertone Connect Abs review, I’m going to explore the device and see whether the future of abdominal toning has in fact dawned. 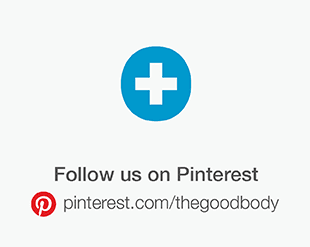 What is the Slendertone Connect Abs? 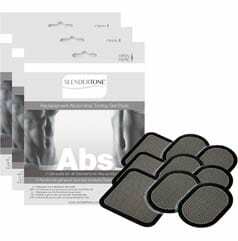 What is Slendertone Connect Abs? Connect Abs is Slendertone’s latest abdominal toning belt – and this time it’s a little different – the smart device is app driven. Your workout is controlled from the convenience of your Apple iOS device (iPhone, iPad, or iPod Touch*). *The app requires an iPhone 4S or newer, iPad 4th generation or newer, or an iPod Touch running iOS 8.0 or later. This enables you to set a toning goal, plan workouts, and track your progress through the dedicated Slendertone Connect app. It’s been designed with motivation in mind. Within the app you see personal toning reports and get recommendations for how to beat your targets. Connect Abs includes a number of other motivational features as well, I’ll come onto them later in the review. Recruit all abdominal muscles, including the obliques, rectus abdominis and the hard to reach transversus abdominis. It does this through a set of gel pads (electrodes) inside the belt. 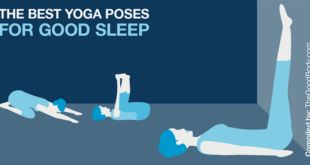 They activate the body’s natural muscle movement. It’s not only muscles directly under the pads that contract. 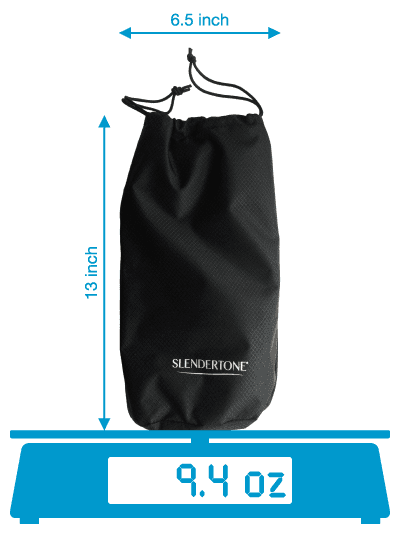 Slendertone’s patented three pad placement design was created to work the complete abdominal musculature. The resulting muscle contraction is similar to the type that occurs in regular exercise, with the muscles simultaneously contracting and then relaxing. The first thing to say here is that Connect Abs has been cleared by the Food and Drug Administration (FDA) to tone, firm, and strengthen the abdominal muscles. Firms that market EMS devices are required to comply with appropriate FDA premarket regulatory requirements before they may legally sell their devices. The firm must be able to demonstrate that these devices are as safe and as effective as similar devices that are legally marketed. Devices may only be marketed for uses that are established for the device or for uses that the firm can support with data. In the early 2000s there were a number of controversial incidents involving electronic abdominal exercise belt manufacturers. The Federal Trade Commission (FTC) came down hard on them and dished out some hefty fines. One of the most notable examples of this was the $5m settlement that the marketers of Fast Abs Exercise Belt agreed to pay, after they made false claims that the product could produce “six pack” abs without any exercise. What Slendertone has done with this and their other EMS ab belts is provided the FDA with data that backs up their claims. The data was taken from independent clinical trials carried out by Dr. John P. Porcari, Ph.D., Professor (in Exercise and Sports Science), University of Wisconsin–La Crosse. 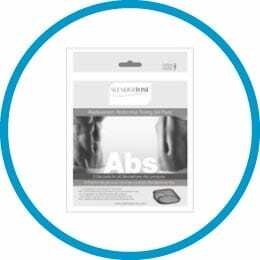 Connect Abs has been cleared by the FDA to tone, firm, and strengthen the abdominal muscles. I’m not going to go into detail about the clinical studies here, as I covered that topic in great depth when I reviewed the Flex Belt (another of Slendertone’s ab toning belts). I get calls all the time from people around the country who’ve seen the product and want to know if it really works. And I just tell them based on the results of the studies we’ve done, there’s no question it’s going to increase the strength, the endurance, and the firmness and tone of people’s abdominal muscles. If you sit on the couch every night with your belt on, do no other exercise, and don’t eat the right food – you can’t expect to look like the guys in the commercials! Also, when talking about results and whether something works, it’s important to consider that everybody has their own personal goals and objectives. Not everybody is starting from the same place either. Historically, EMS has been used as a tool for muscle re-education. In an article I wrote about EMS machines, I listed uses for electric muscle stimulation as: recovery, training, rehabilitation, prevention and appearance. Combining EMS with conventional exercise, referred to as voluntary muscle contraction (VC) – led to better results in sports training and rehabilitation – than using solely EMS or VC. EMS should be combined with specific sport training to generate neuromuscular adaptations, but also allow the adjustment of motor control during a voluntary movement. When Paillard talks about the benefits of integrating EMS with conventional training, he says non-simultaneously, meaning not electrically stimulating the muscles at the same time as doing regular exercise. 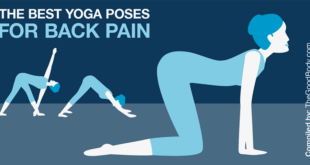 I also get calls from people who have low back problems, who can’t get down on the floor and do sit-ups or curl-ups and again, I think it’s an ideal product for them because they’re going to be able to strengthen and tone their abdominal muscles without putting any pressure on their low back. 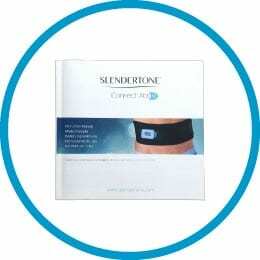 Slendertone Connect Abs (along with company’s other belts) has been cleared by the FDA as a Class II Medical Device, for direct sale to consumers. If a company wants to sell EMS devices directly to consumers, the company needs to show FDA it can be used safely and effectively in that setting. FDA regulation is considered important because among other things it demonstrates the safety and effectiveness of devices, ensures cables and leads comply with electrical safety standards, and means the product has passed the criteria for being properly designed, manufactured, and labeled. Slendertone is a brand that belongs to Bio-Medical Research (BMR) Ltd, a specialist medical equipment company headquartered in Galway, Ireland. 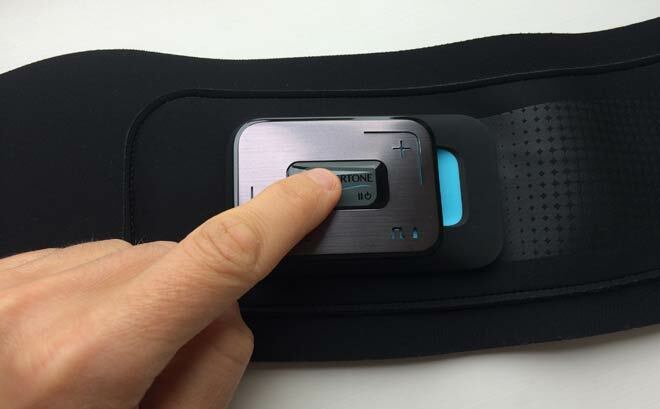 BMR has been in the game for a long time and can boast over 50 years experience in the development and manufacturing of electrical muscle stimulation devices and accessories. 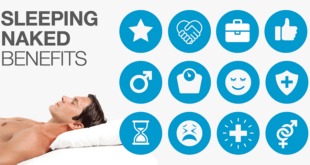 The Slendertone brand belongs to Bio-Medical Research Ltd, a specialist medical equipment company. As with the clinical studies, I’m not going to write a huge amount about BMR’s background or expertise. There’s a whole section of research on that in my piece about The Flex Belt, which can be read here. It has five main programs within it, they are: Essential Toning, Upcoming Event, Fitness, Advanced Toning, and Post Natal. 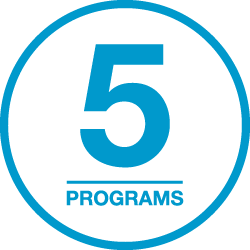 Each program (with the exception of Upcoming Event, which is customizable) lasts for six weeks each, the idea being that you do five sessions a week over this period. Session lengths vary slightly, deepening upon which program you are undertaking. Most last 30 minutes each. 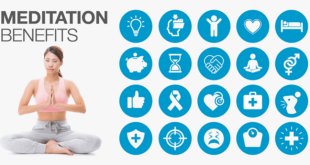 Each unique program creates different challenges and varies in difficulty. It’s worth noting that the Post Natal program is different in that it’s been designed for mothers to ease into retraining their abdominal muscles after pregnancy. Suitable from 6 weeks after childbirth (consult your doctor). Within each program you control the level of intensity, it starts at 0 and goes all the way up to 100. Not to confuse intensity levels with power. They are merely increments in which you move up or down the power output. For example, the Flex Belt and Slendertone’s Abs7 both have 150 intensity levels – 50 more than this product’s 100. Many people mistakenly believe that a device with 150 levels is more powerful than one with 100. That’s not the right way to look at it. What you need to be comparing is the maximum power output, which is measured in mA. This product has a maximum output of 75mA, which is over 7% more than the maximum 70mA of the Flex Belt and Slendertone Abs7. 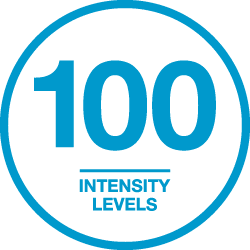 In terms of the number of intensity levels, 100 is ample. The way I’ve been using the belt, I find myself increasing it by about five levels at a time. Personally, I don’t think you’d have any advantage with 150 levels, instead of 100. Most of this is managed from within the app. You do however need to turn the controller on, before you start your session. The front of the controller looks like a display but really it’s just the power button, which can also be used to pause your toning session. Because you manage sessions through the app, there is no great need for a screen on the controller. This has been made (almost) redundant by the Connect iOS app. As mentioned in the previous section, there is an intensity up and an intensity down button. They are the only other buttons, which makes it three in total. All of the controls are clearly labelled and it’s obvious what each one does. I’d like to point out that they’re very responsive and nice to press. You know when you’ve pressed one in from the clicking sound. If you’re going to use the app to control the intensity during your session, the only button (on the controller) you’ll ever need to press is the power one. The intensity ones are handy though because if for whatever reason you don’t want to get your phone out, you can use those. They’re also quicker than say unlocking your screen and then adjusting from within the app, if you’re not already in there. The only slight downside with that method is you can’t see or know the intensity level you’re on, unless you open the app up and check. This is something I personally like to keep an eye on. All in all, I found the device intuitive to use. Using the app to control a toning session is just as you’d expect. One of the things I like most about Connect Abs is that you get the benefit of a large high quality display on your iPhone, whereas other devices have smaller less clear (and non color) displays on the controllers. It’s a clever way to design a product like this because if Slendertone was to try and incorporate such a high quality screen directly into their product it would add enormous cost to the product and price it out of the market. This involved downloading the Slendertone Connect app (from the App Store). Once the app is installed you are asked to login (or signup if you are a new user), this is all free. Then you are asked a series of multiple choice questions about yourself, your activity level, and main motivation for using the device. The answers to these questions allow the app to establish which toning program is best suited to your goals and current fitness / activity level. Setup was very simple, I completed it in a matter of minutes, without any issues. I don’t envisage existing iOS users having any problems here. I would imagine this setup would be straightforward for most. If you are able to operate your iPhone, iPad, or iPod Touch, you should be just fine with this. The main controller unit has a built-in rechargeable lithium battery. 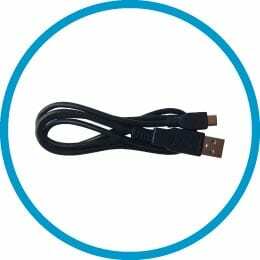 It can be charged through a USB charger or the USB port in your computer. The instruction manual states the battery is shipped partially charged. When you first get the device, it recommends you fully charge the battery for a minimum of 3 hours. When I first charged mine the battery indicator was green (fully charged) in less than an hour. Nonetheless, I left it plugged in for at least 3 hours. Our batteries are designed to last for years. Having only used the product a few times, I’m unable to make any comment on long-term battery life. I can say however that I’m mighty impressed with the battery’s performance so far. To put it into context, I’ve had five and a half toning sessions since I started using the product and there’s still 59% left. If I was to get between 10 and 15 sessions out of each charge, I’d be delighted. Compare this to the Flex Belt, which I found myself charging after each three uses and it stacks up very favourably. Not having to buy replacement batteries means the only running cost is the pads, whereas with devices powered by standard batteries cost more to run. Also, you don’t have to worry about running out of batteries and not having any left when you’re ready for a toning session. The first thing to be aware of and remember here is that the belt is designed to fit waist sizes 24 inch up to 42 inch. A maximum waist size of 42 inch is smaller than other Slendertone belts, which go up to 46 inch and 47 inch (depending on the model). 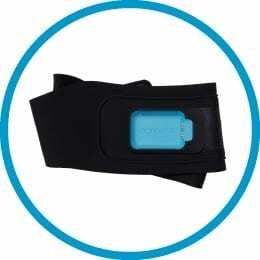 The Flex Belt can be used for waist sizes up to 52 inch (thanks to the velcro extender). The controller unit that fits inside the belt is quite small and light. It measures: 2.75 inch (W) x 2 inch (H) x .59 inch (D) and weighs just 1.3 oz. 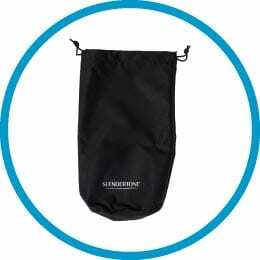 Slendertone ships a handy storage pouch with the product. It measures 6 ½ inch (W) x 13 inch (H). I weighed this with the belt, USB cable, and instruction manual inside and it came in at just 15.1 oz. If you take the instruction manual out, it’s only 9.4 oz. It’s not going to take up space in your luggage or weigh you down if you want to take it with you, to ensure you don’t miss a session. That’s everything you need to start your toning program. All that you’re going to have to replace (further down the line) are the pads. So you can get started straight away by reading the instruction manual and then go onto setting the product up. 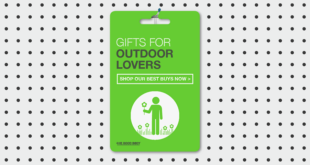 There’s no need to spend extra cash on accessories and more gear with this product. It’s all there in the box. It comes with one set so three in total: the large middle one and 2 x the ones for the sides. Pads last for an average of 20 to 30 Slendertone sessions. Anybody who has read my review of the Flex Belt will know it’s possible to get more than 20-30 uses out of a set of these pads, if you’re careful and look after them properly. The pads seem to be exactly the same as those, just in Connect Abs packaging. When it comes to replacing the pads, the manufacturer’s suggested retail price (MSRP) for a set is $12.99. Be aware though, they do seem to retail for less than MSRP. If you want to stock up though and get them at a discounted price, you can buy them in sets of three. The MSRP for a set of three is $34.99. Again, like the single sets, I’ve seen them retailing for less than that price. Connect Abs ships with a free 2 year warranty. 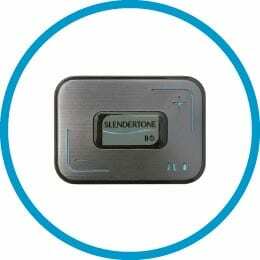 If the product becomes faulty during that period, Slendertone will replace it for you. It’s more common for electric muscle stimulation devices to come with a 1 year warranty so this stacks up well. 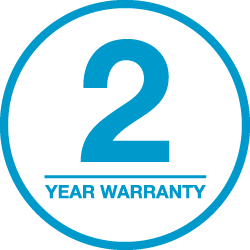 I like the 2 year warranty, that shows the manufacturer has faith in its product but how about a 60-day money back guarantee? That’s what you get with Connect Abs. 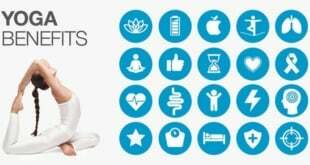 I’m happy to say that I’ve never for one minute wanted to return any of the Slendertone products I’ve bought – but it is good peace of mind – knowing that the option is there. 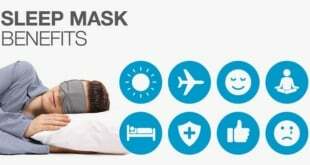 For the most part, I found online consumer reviews for this product to be very positive. As you’d expect, there are some reviews that don’t rate the device so highly. For me, the major thing to consider here – with negative reviews – is whether the user had realistic expectations of what they could achieve. In my opinion you have to be careful with consumer ratings and reviews for ab toning devices like these (and other EMS machines). I’ve noticed a pattern across different products – where a large number of the negative reviews – are seemingly down to people with unrealistic expectations of electric muscle stimulation. I read a review from a person who described themself as a “couch potato” and somebody who enjoys “junk foods”. In their comments they said that they’d been using the belt for three weeks, without doing anything differently. So I was hardly surprised when I saw they’d reported no difference in their “abdominal muscular tone or belt size”! This abdominal toning belt is not designed for weight loss and is not going to magically burn body fat for you. For that you would need to exercise correctly and follow an appropriate diet. Very well presented – high quality packaging, instruction manual, etc. There’s nothing that I strongly dislike about Connect Abs – or that would put me off buying the producing – had I not already purchased it. It won’t do the fat burning part for you – that’s down to the right exercise and nutrition! If an ab toning belt has an MSRP of $229.99 it has to be good and this certainly is. 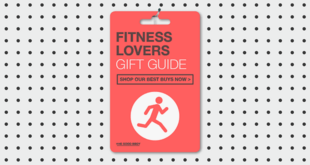 When you compare this to its closest rivals (the Flex Belt and Slendertone Abs7), you say have to say it blows them out of the water, in terms of what it does. Its maximum power output of 75mA, makes it more than 7% more powerful than either of those devices. Its feature set is incomparable to anything else currently on the market. Worth every dollar, if it’s within your budget. I’d have to echo these sentiments. I believe that what you get for a little extra takes this product to a whole new level. My point was the same with Fitbit’s smart scale, Aria. You have to decide whether that extra investment is going to be worth it. It’s like a down payment – an investment if you will – almost like a membership into an ecosystem. 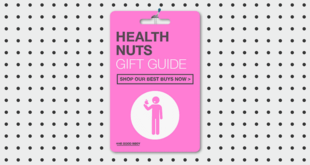 Having the product gives you access to the free app and everything that comes with that (the tracking, reminders, tips, etc.). Once you’ve made the initial purchase you reap the benefits over and over. I’m a huge fan of the Connect Abs belt and app, I love the way they work together. In 2014, I predicted that a smart electrotherapy device was going to come along soon. 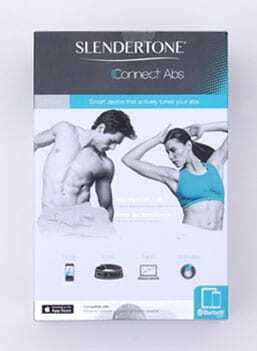 With this product, Slendertone has beaten other brands to it and created the first one. The only real shame is that it works exclusively with iOS, meaning Android users can’t run the app. 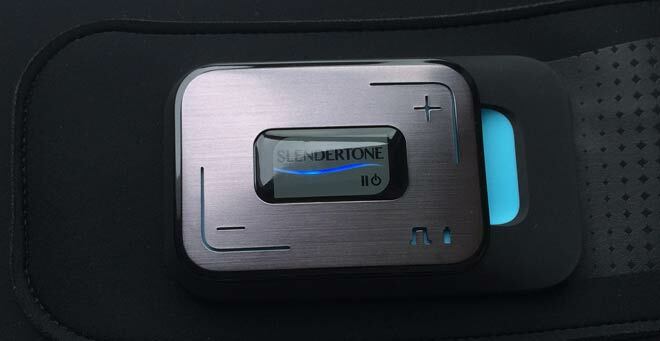 I’d hope that Slendertone is looking into that or in the process of developing an Android version. Even if you’re not so bothered about all the smart features, it may be worth considering this belt over alternatives. The fact that it’s rechargeable and has such an impressive battery makes it massively appealing in my eyes. If you want an EMS ab belt and have the budget, this top-of-the-line device is best in class. Its slick design, unparalleled feature-set, and smartphone integration set it apart from the rest.